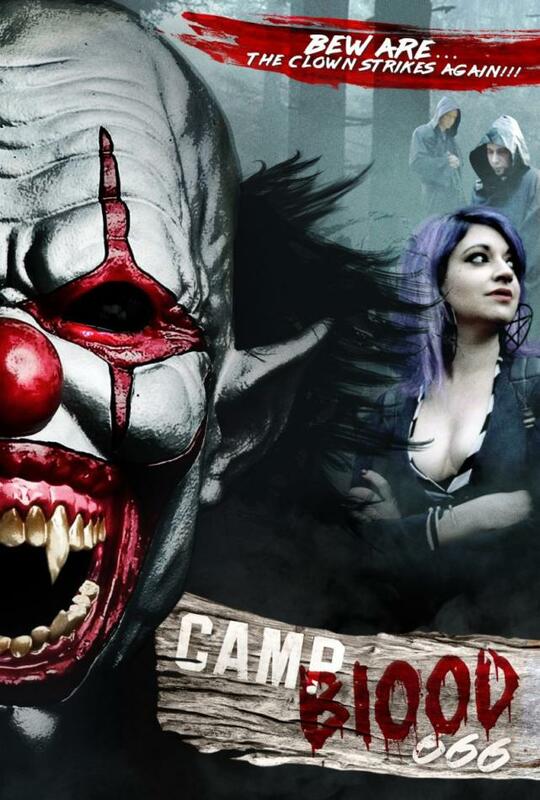 The Camp Blood Killer Clown returns from hell itself to stalk the woods around Camp Blood. Looking for fresh victims to disembowel with his trusty machete, people have begun to go missing once again in the woods. Betsy, goes looking for her missing brother, Ari, who ran away from home to join a Satanic Clown Cult, and was last seen in the woods around Camp Blood. The local police don’t want to get involved, leaving just her and her boyfriend, Tom, to venture into the deadly woods by themselves. Will they find her missing brother, or even survive long enough to find out his fate? And does the Satanic Clown Cult have anything to do with the reappearance of the Killer Clown? Find out for yourself in Camp Blood 666!